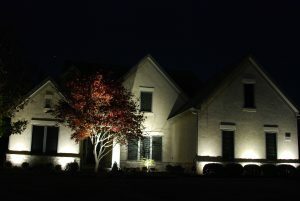 As the weather gets cold and the landscape around your home becomes dull it is hard to find ways to really brighten up your home for the winter. 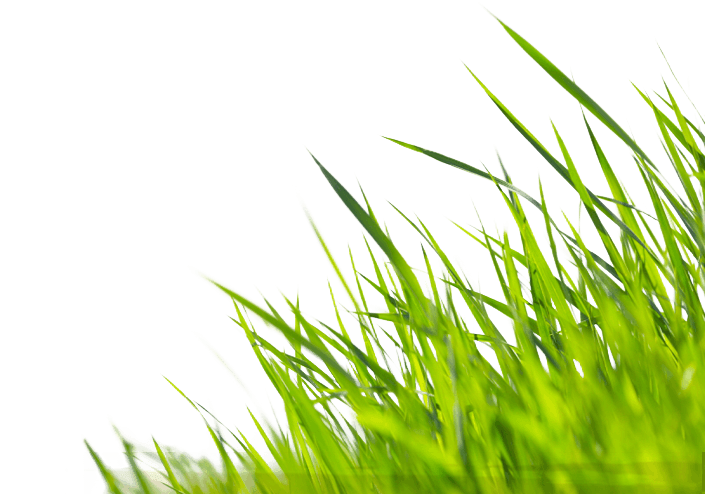 Luckily for you we have some tips and ideas that may help you overcome your winter landscape blues. Well placed planters can bring color and interest to your home at minimal expense. Typically, you would place your planter on each side of the entrance to your home and you can fill with holiday decor. We like to use cuttings from spruce, pine, junipers, chamaecyparis and other interesting evergreens to fill out the pot. 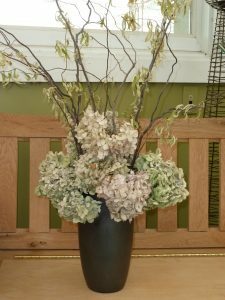 Find some white birch branches or red twig dogwood stems to add some height and color. You can also add interest by placing pine cones around the planters, take crabapple cuttings with berries or holly cuttings. All make wonderful additions to your home. The nice thing about these cutting planters is that you really do not need soil. Make small planters and place them throughout your house. Not only will they look wonderful but you’ll get the holiday aroma of evergreens. These planters will last for 1-3 months with very minimal care. Along with planters you can always use potted plants to add interest to your home. 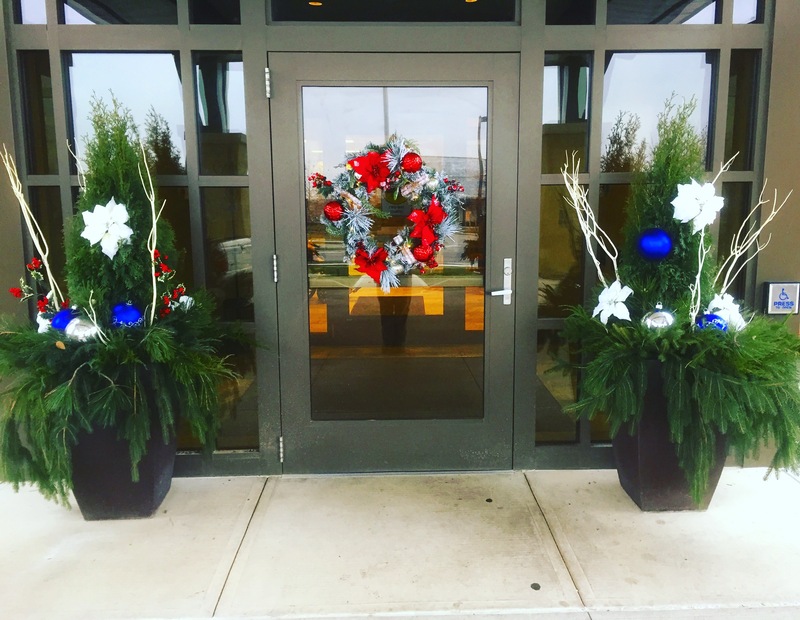 For indoors, try poinsettias and rosemary. 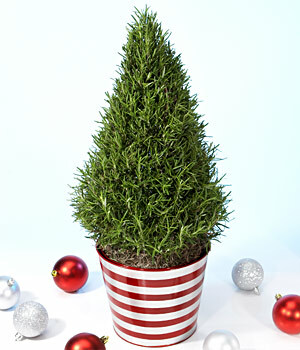 If you grow rosemary during the summer, you can bring it indoors and decorate or prune to look like a Christmas tree. Many garden centers will sell rosemary pre-cut and grown for you as well. You can always find hydrangea plants in bloom with great pink and blue blooms for more color. Do you have hydrangea plants outside your home? If so, you will have an abundance of dry flowers with which to decorate your home. 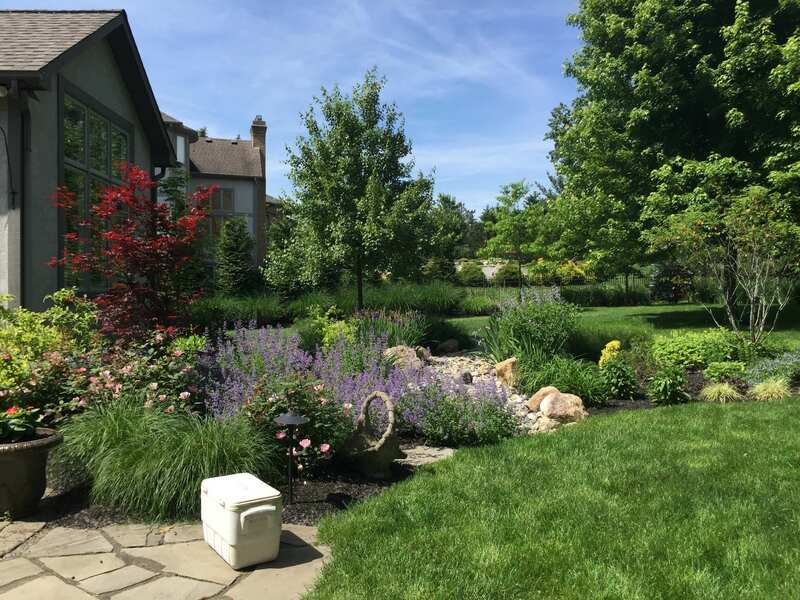 Smooth hydrangeas and paniculata hydrangeas will provide you with the largest blooms. If you remember to cut your dried flowers earlier in October you may also keep a little color with the flowers to bring even more interest. 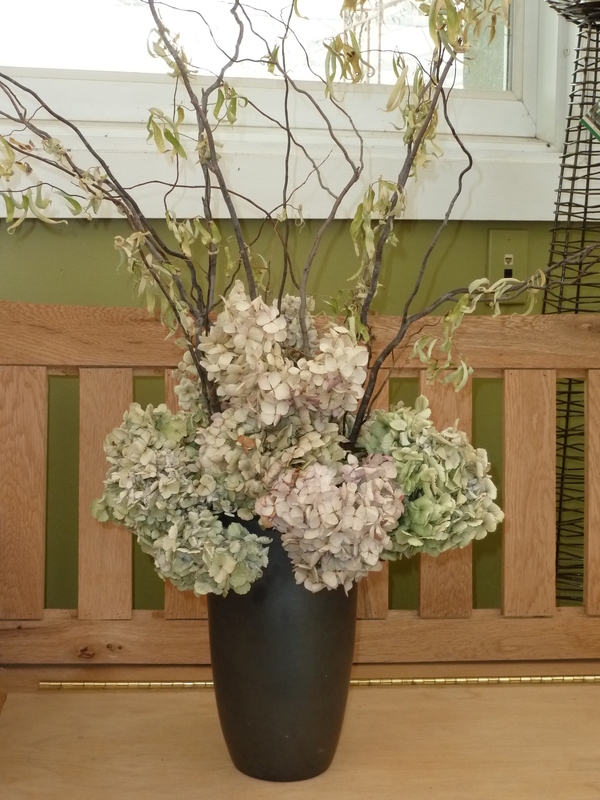 Put the stems in a vase with no water and let the hydrangea flower provide the interest. 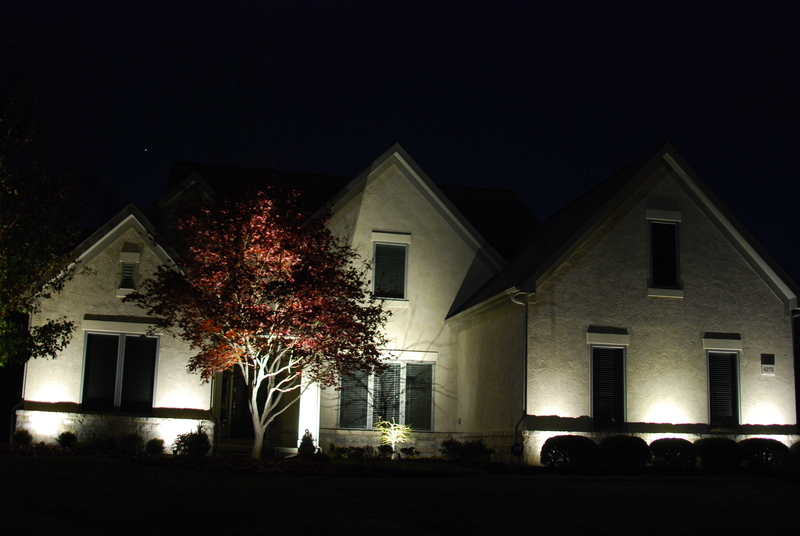 Add some evergreen like holly or spruce for a little more interest and color.